Answering tough job interview questions deftly and skillfully can be a fine art. Here is a sampling of the most common key questions you're most likely to encounter, along with advice on how to respond. Job search and interviewing experts offer their suggestions on answers that are most likely to make a favorable impression on an interviewer. These suggestions represent best practices and best bets, but there's no guarantee that following them will produce the desired results. Interviewers and companies can differ considerably in what they want to hear, so your answers might not necessarily be consistent from interview to interview. Although it pays to prepare in advance and to anticipate the sorts of tough questions you're likely to be asked, you'll have to think and react on your feet to some extent. It's critical that you sound natural and unscripted during an interview. That is, of course, easier said than done. Consider practicing through mock interviews, particularly with people experienced in conducting these exercises. Why Did You Quit a Job? If the interviewer asks about why you quit a certain job or why there are gaps in your resume, what should you say? 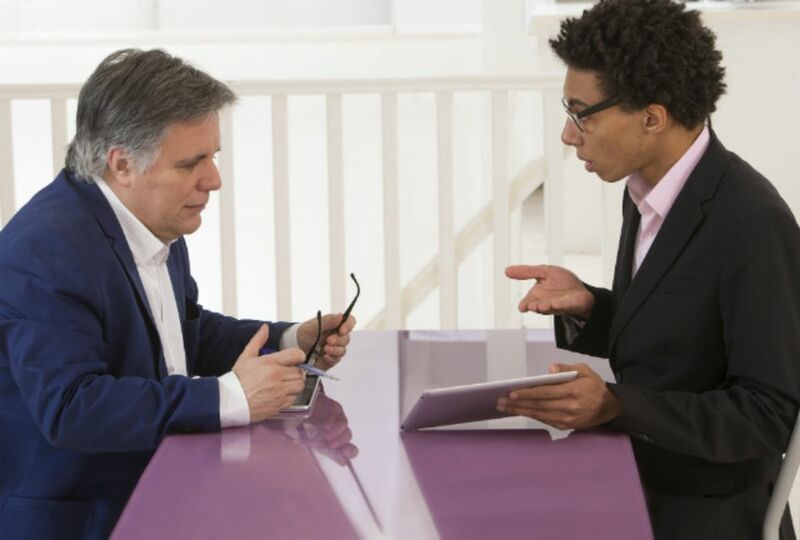 There are many valid reasons why interviewers are unlikely to hold it against you if you ever resigned from a position, but presenting your reasons awkwardly or unconvincingly is bound to raise questions, and this could damage your chances. You'll also want to refrain from disparaging your former employer, even if the criticism is warranted. Consider rehearsing your explanation in advance so you can deliver it in a smooth, factual, and neutral manner. Why Were You Fired From a Given Job? It is an even more difficult question to handle well. You should be honest, but you'll also want to demonstrate conclusively and convincingly that you aren't a problem employee. Your goal is to convey that you represent a good risk for the current hiring manager to bring on board. In this case, more detail can be useful if it can explain any possible wrongdoing on your part but don't overdo it in defense of yourself. Remember that old line from Shakespeare? "Methinks he protests too much." Keep it succinct but make it clear that whatever happened doesn't make you a liability to the company. The key to getting any job isn't typically a dry recitation of your experiences and accomplishments. It's a dynamic demonstration of what you can do for the interviewer and organization to which you're applying for a position. You have to market yourself. Put yourself in the place of the hiring manager and tell him what he needs to know. What can you do for him in the future? How can you make the lives of his staff easier? How can you make them more successful? Again, detail and clarity are good but try to avoid clapping yourself on the back for an overly extended period. No one likes working with an egotist. It is a common question in a job interview, and it's a tough one to handle graciously and candidly. Some even think it's a trick question, and your answer can indeed tell the interviewer a great deal. You don't ever want to disclose a serious personality flaw that may result in your being eliminated from consideration, but you do need to answer the question in a manner that puts it to rest and leaves the interviewer confident in your ability to do the job well. Stress that you're aware of the shortcoming and that you actively attempt to rectify it. Too many job candidates answer this question in ways that don't make the interviewer very excited about them and their abilities. It is another answer that you might practice in advance, so you don't come off sounding glib or arrogant. Think in terms of bullet points. You can always provide additional information and detail if the interviewer zeros in on one of them and wants to know more. What Are Your Salary Requirements and Expectations? Of course, you want to be paid as much as possible. Meanwhile, the hiring firm wants to get your services as cheaply as possible. That makes this a tricky question as well. Don't undersell yourself and your abilities, but don't make demands that are so high in the stratosphere you price yourself out of consideration. You don't want to be rejected out of hand if you would settle for less. Be prepared for the possibility that the interviewer will ask you to name your price and begin negotiating with you right then and there. Have a firm idea in mind ahead of time as to exactly how much you're willing to work for. If the hiring manager lowballs you, consider asking when you might expect a review and the possibility of a raise. It has the added advantage of making you sound confident in your abilities.